After a looooong (and unintentional) knitting hiatus of a year, it’s safe to say I’ve caught the bug again. I first learned to knit in 2012, shortly after Olive was born. It has quickly become one of my favorite hobbies. I find it relaxing, inspiring and something that feeds my desire to work creatively with my hands. I have a lot of expectant mama friends in my life right now and felt compelled to pick up the needles and knit some sweet little hats. They make perfect, heartfelt heirlooms to add to any shower present. They are also a super quick knit, due to their petite size. 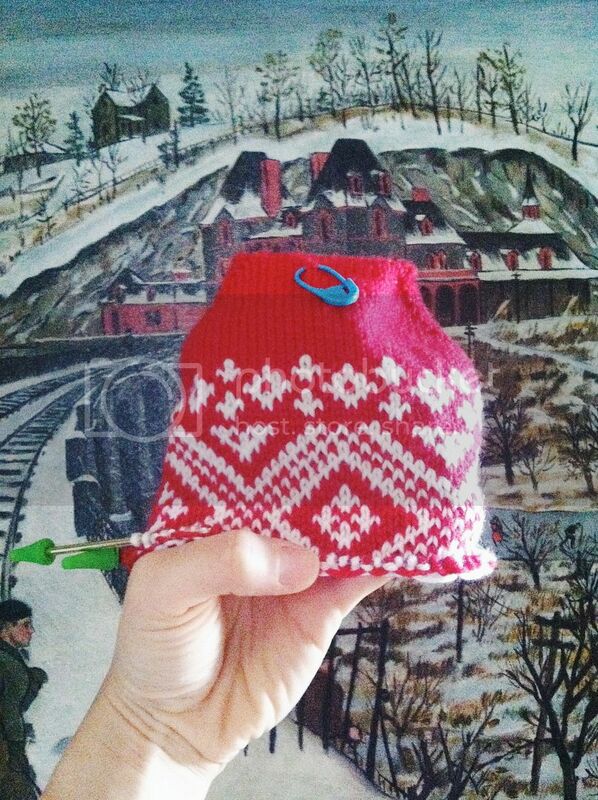 Nothing is more satisfying that finishing a quickie knitting project! 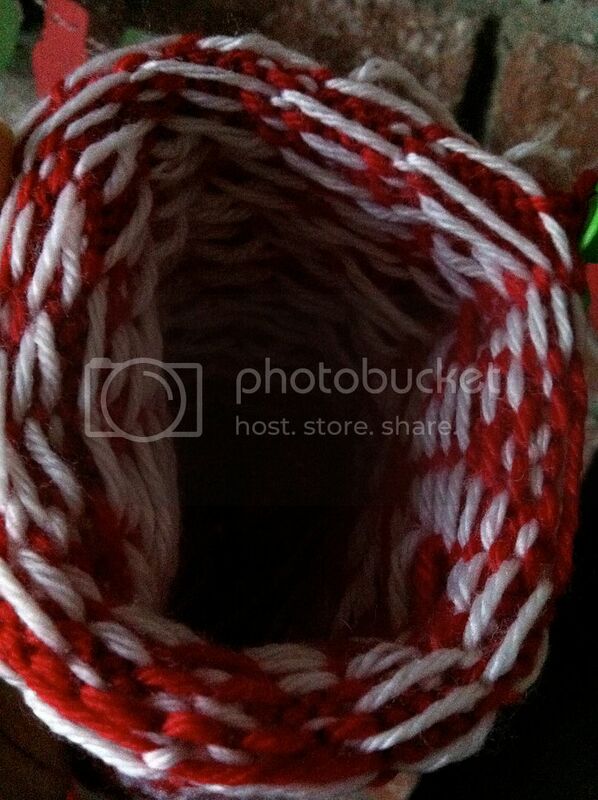 Even with my crazy schedule, I have managed to knit 3 hats in a week and already have the fourth one in the works! I tend to knit after Olive goes to bed, sitting with a cup of tea and a cozy blanket on the couch. It’s a great way to unwind after a long day! Working with some beautiful yarns by Araucania, Swans Island Co., Rowan, Manos del Uruguay and Misti Alpaca. I admit I’m a bit of a yarn snob, but working with beautiful yarns is part of what makes knitting so enjoyable for me. K6, k2tog until end of round, then work one complete knit round. (77 stitches) K5, k2tog until end of round, then work one complete knit round. (66 stitches) K4, k2tog until end of round, then work one complete knit round. (55 stitches) K3, k2tog until end of round, then work one complete knit round. (44 stitches. This is where I start transferring to dpns — I like the rosewood cubics dpns from Knitter’s Pride.) K2, k2tog until end of round, then work one complete knit round. 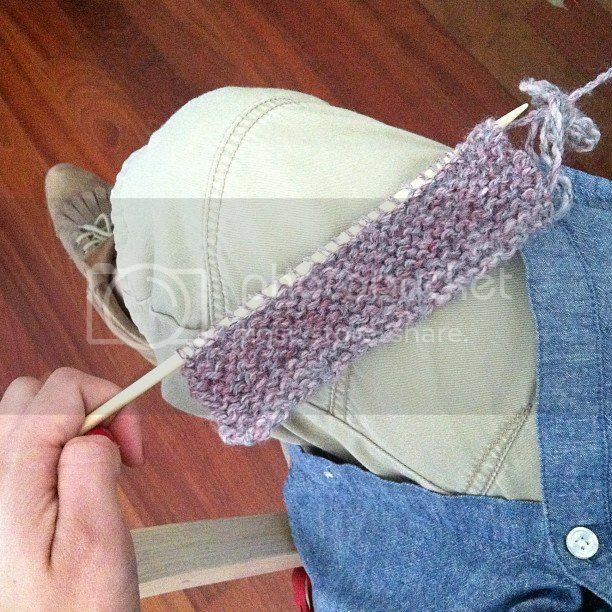 (33 stitches) K1, k2tog until end of round, then work one complete knit round. (22 stitches) K2tog for an entire round. (11 stitches) Then, K2tog five times, and knit the last remaining stitch (6 stitches). Using a tapestry needle, run the remaining yarn through the live stitches, pull tight and down through the hat, and weave in the ends inside the hat. Of course, if you use lighter weight yarns, you’ll want a smaller needle and more stitches. If you use a chunkier yarn, grab a larger needle and fewer stitches. Play around and see what works for you. The Purl Bee has 3 great (free!) patterns for newborn baby hats using their line weight yarn and you can see they CO 108 stitches and use a size 2 needle. I’m totally on a roll right now and hope to finish 15-20 hats in the next month, so I can gift them to all the mamas-to-be in my life. Any knitters out there?? I’d love to know what’s currently on your needles! I hope you’re all having a great week so far. 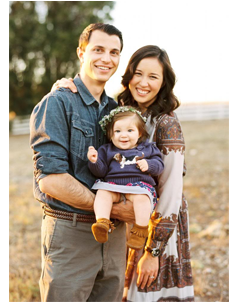 My 2015 is off to an amazing start and I hope the same is true for you! 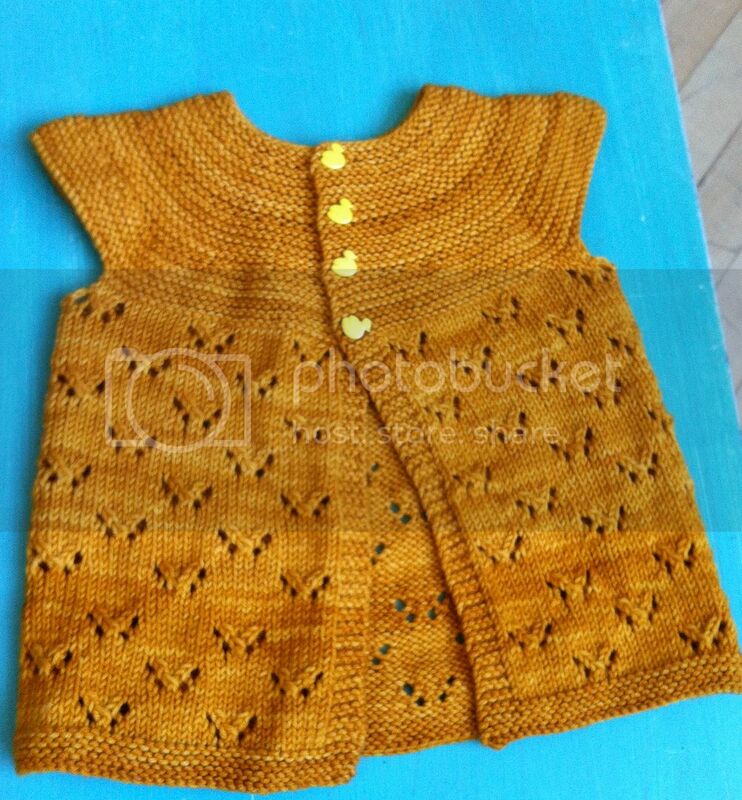 Monarch Butterfly Cardigan for Olive – Complete! 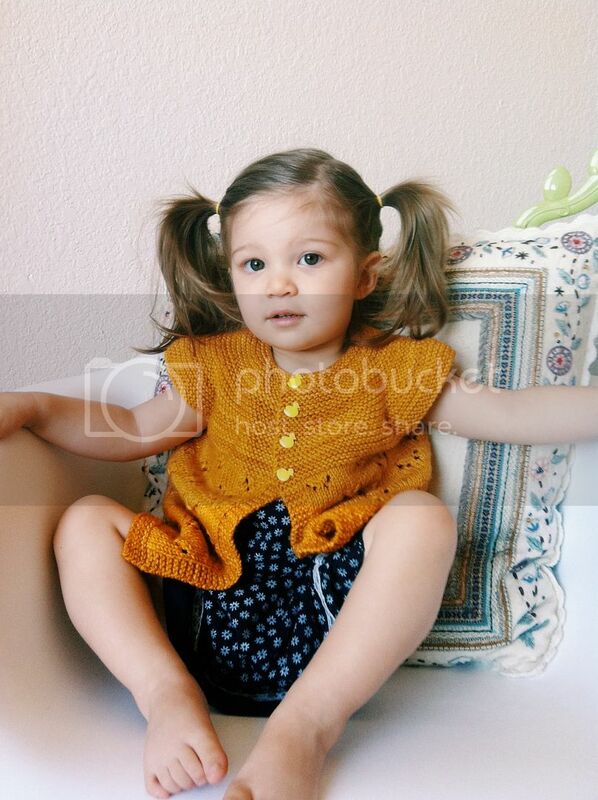 Do you guys remember this pretty little cardigan I was knitting for Olive? Well I finally finished it (nearly a month ago!) and I’m excited to share it here. 😉 Knitting is still one of my favorite ways to unwind and knitting for my little girl is always my favorite. 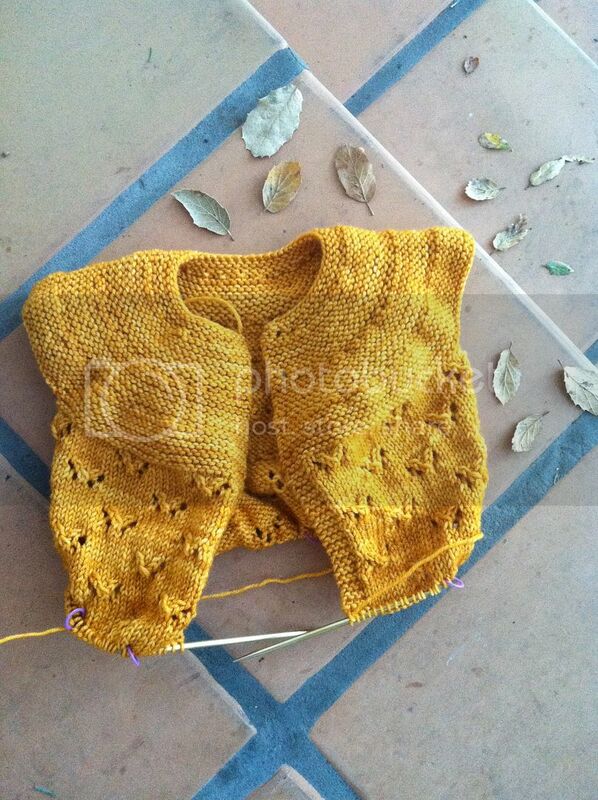 I have yet to construct a full garment for myself (an adult-sized sweater seems so daunting and time-consuming!) but projects for my mini are so much fun. I love watching the piece take shape after every session. 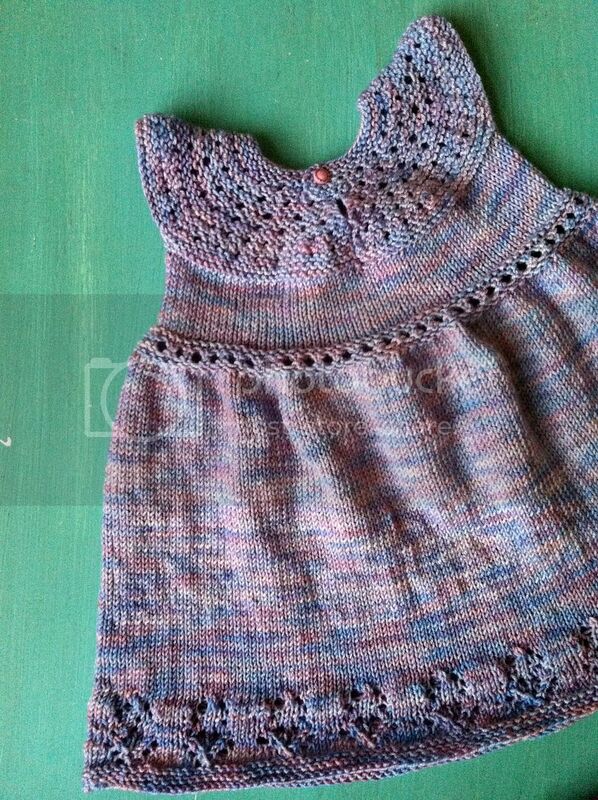 After knitting this sweet little dress for Olive, I was drawn to more patterns designed by Taiga Hilliard. 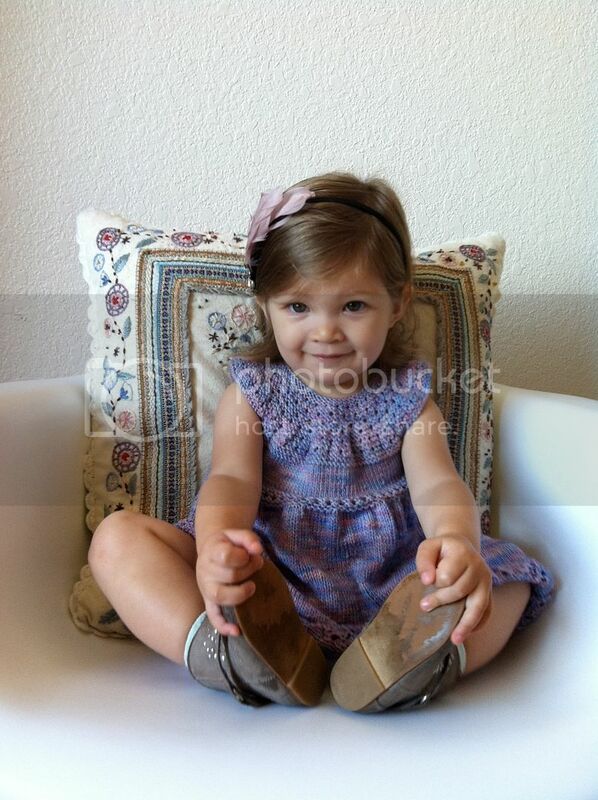 She has the most darling patterns for little girls! This short-sleeved open-front cardi is no exception. I love the yoke and faux sleeves, the buttons closure and the charming butterfly-inspired lacework on the body. 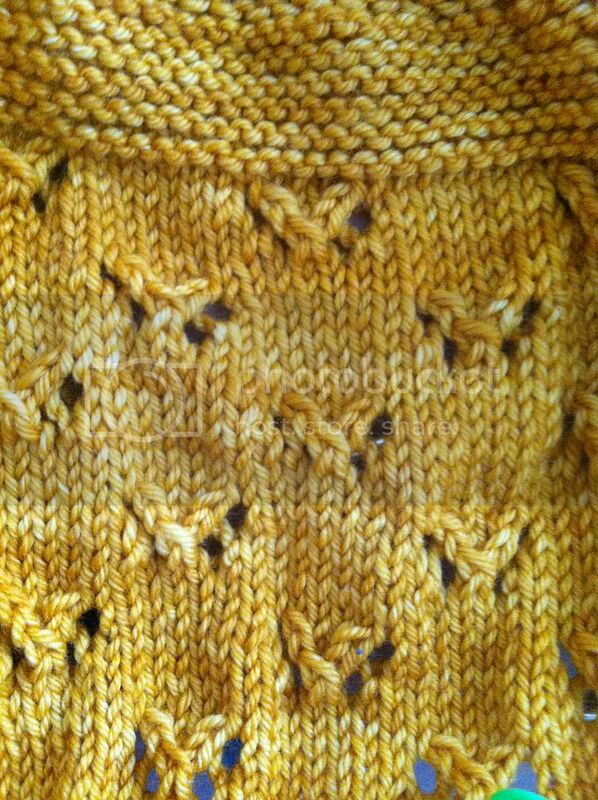 The pattern was easy to read and follow and worked up pretty quickly (despite the sometimes wearying rows of purling back, since the sweater isn’t knit in the round). I used the yummiest madelinetosh tosh dk yarn (in “warm maize”) for this project and it is the perfect spring and summer hue. The subtle variegation in this hand-dyed yarn make it multi-dimensional and truly special. 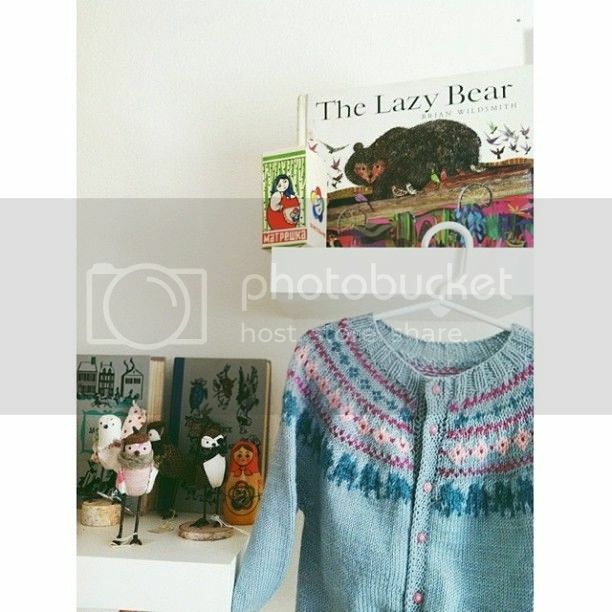 Once I had finished the sweater and blocked it, I began the hunt for the perfect buttons. I mean, when you put this much time and love into knitting something, you can’t just stick any old buttons on it. The notions had to be worthy of the sweater. 😉 I couldn’t believe my eyes when I found these darling duckie buttons at my local craft store. Olive is tickled by them and lovingly dubbed the cardigan her “rubber duckie sweater.” In fact, I could barely remove this sweater from her after taking these photos (I didn’t want her to wear it to the park). Now that the holidays are behind us, I finally have some time to curl up on the couch and do some knitting. And by “some time” I mean 5 minutes here and there to do a few rows. 🙂 Although I know I should finish up our fair-isle Christmas stockings now before I forget about them until November, I couldn’t help myself in picking up this sweet project for my almost-two year old (!!!). 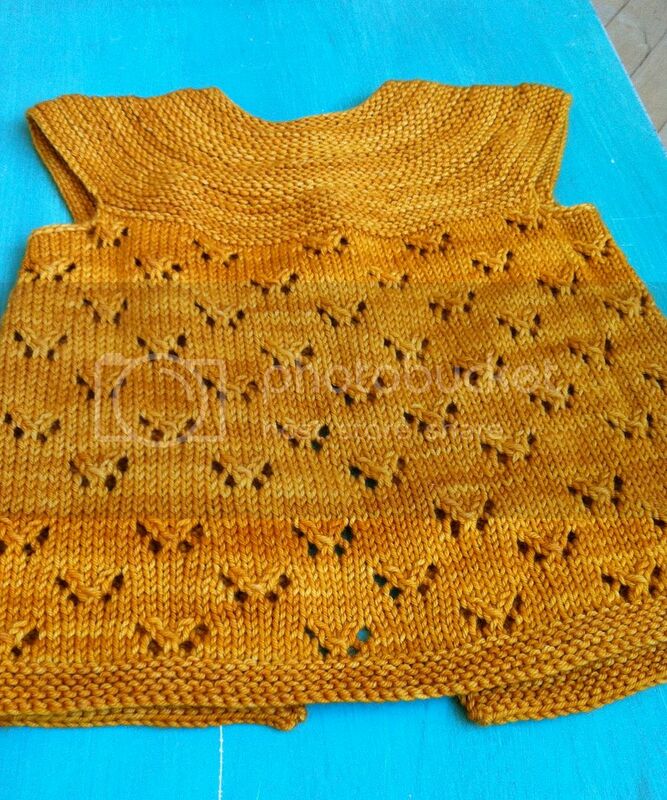 This lovely pattern is the Monarch Butterfly pattern by Taiga Hilliard Designs. I’ve knitted a dress by the same pattern designer, so I knew I would enjoy this sweater. 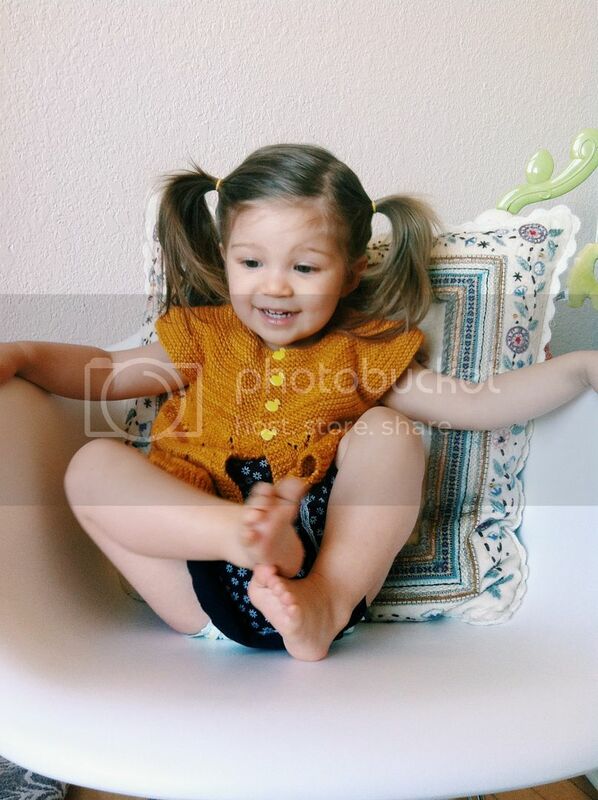 Her patterns are so well-written and easy to follow, and I love her darling designs! 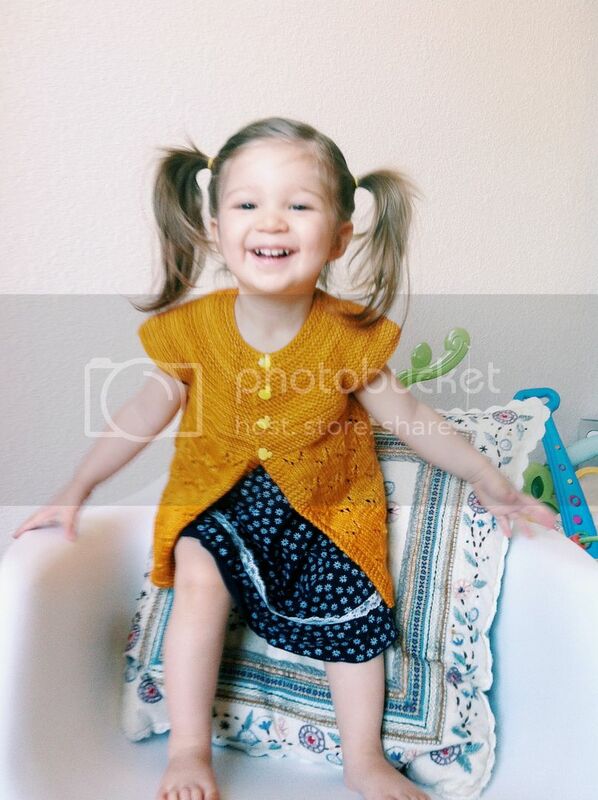 If you enjoy knitting for a little girl in your life, definitely check her out! I’m working with the yummiest madelinetosh dk yarn in the colorway warm maize. 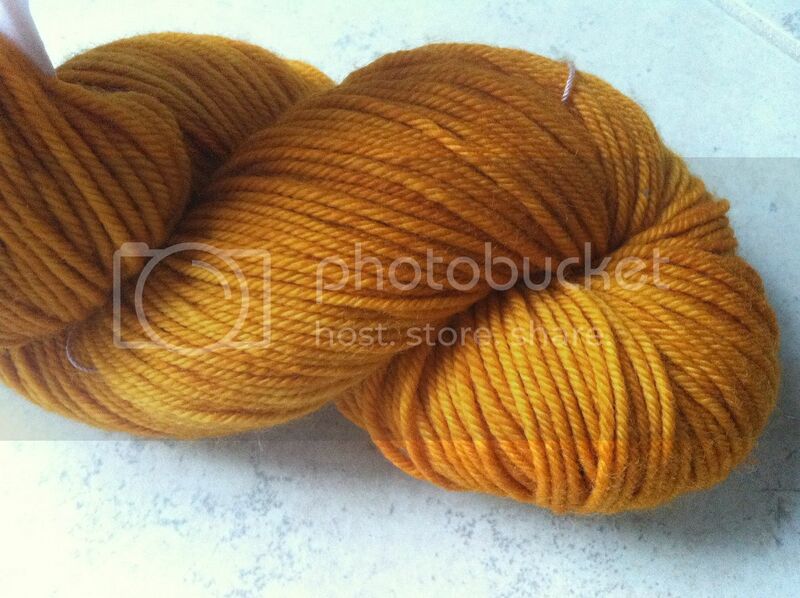 The yarn has the loveliest spectrum of marigold in it. The subtle variegated nature of the hand-dyed yarn makes for an extra special project. Did I mention it is suuuuuper snuggly superwash merino? I started this project last fall but let it hibernate for months and months. I think with another week or so, I’ll finally get this beauty bound off, blocked and ready to wear! Good thing I knitted in a size up (2T) so Olive can still get some good wear out of it! Happy Friday!! 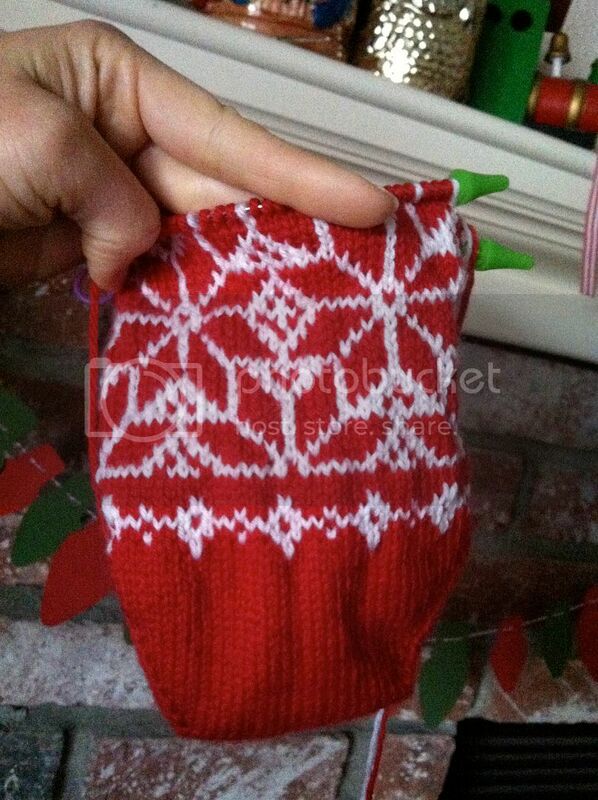 I am checking in with a quick update on my Christmas stockings knitting project! I originally posted about my grand plans HERE and I’m happy to report that I finished stocking #1 (Erik’s) on Thanksgiving Day. 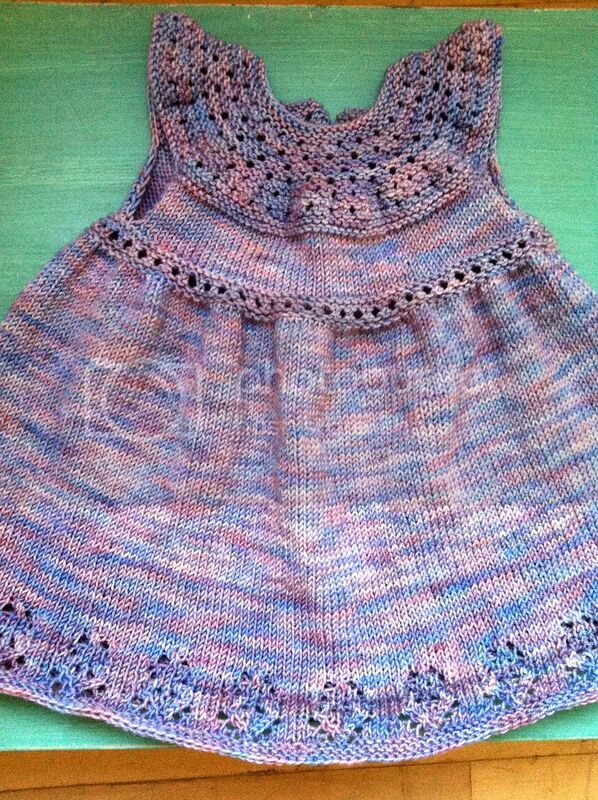 I am really pleased with it, though it still needs blocking. I think that will definitely help smooth out some of my inconsistencies and just give it a more finished look. I hesitated on doing the striped lining in the cuff (no one will really see it except Erik!) but I am glad I did — it’s the perfect special touch! You can’t see the lining in these pics, but I posted a silly vid on Instagram today if you want to check it out! 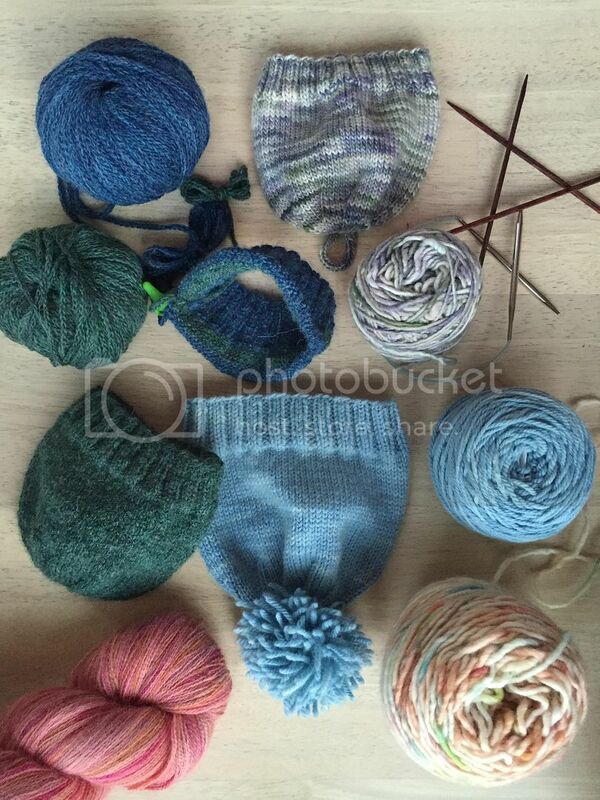 Are any of you working on last-minute Christmas projects, knitted or otherwise?? Hope you all have a lovely weekend! We will be finishing up with our Christmas decorations around the house and decking out our beautiful 7+’ tall noble fir tree. It smells incredible and Olive is already enamored with our un-adorned “Kissmas Tee!” I can’t wait to see Olive’s eyes light up when she sees it in all its splendor! Happy Friday, everyone! 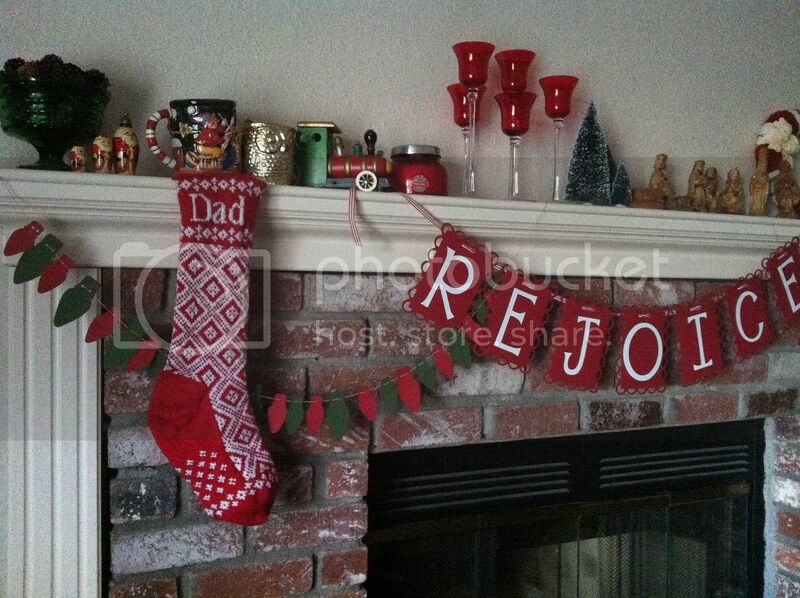 I’m dropping in with a quick post about my latest knitting project: Christmas stockings for my little family of three! I knew that I wanted to knit heirloom-quality stockings for us this year, but I wish I had jumped on it a lot sooner. I started working on Erik’s stocking first, casting on in late October. Of course I had an ambitious schedule planned, hoping to finish each stocking in a record 2 weeks time. 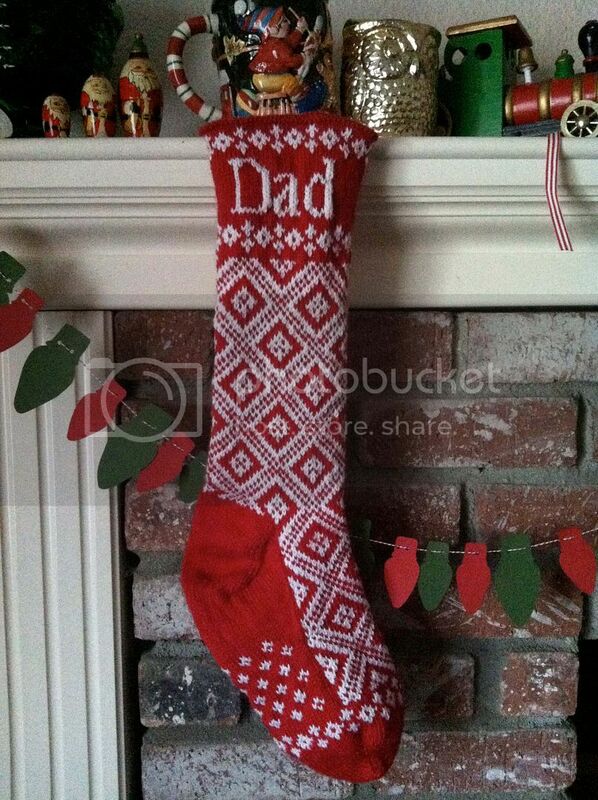 Well, four weeks later I am still working on Erik’s stocking. :-/ I simply haven’t had the time to sit and knit; I’ve let weeks go by where I have barely touched the project! my first sock // LOVE the turkish cast-on and the toe-up construction so far! Tonight I had some renewed motivation and I am intent on finishing this trio of stockings before Christmas. If you see me between now and then, feel free to nudge me and ask about how they’re going! I am going to try to finish Erik’s before Thanksgiving. If I just had a couple days to knit, I know I could finish them rather quickly. All my mama friends out there know that it’s hard enough finding 15 spare minutes in the day and unfortunately, that translates to slow knitting progress. stocking status tonight: making my way up the leg! Pattern is HERE and my Ravelry project notes (very limited for now!) are HERE. Have a marvelous weekend!! I have some serious knitting on the agenda. 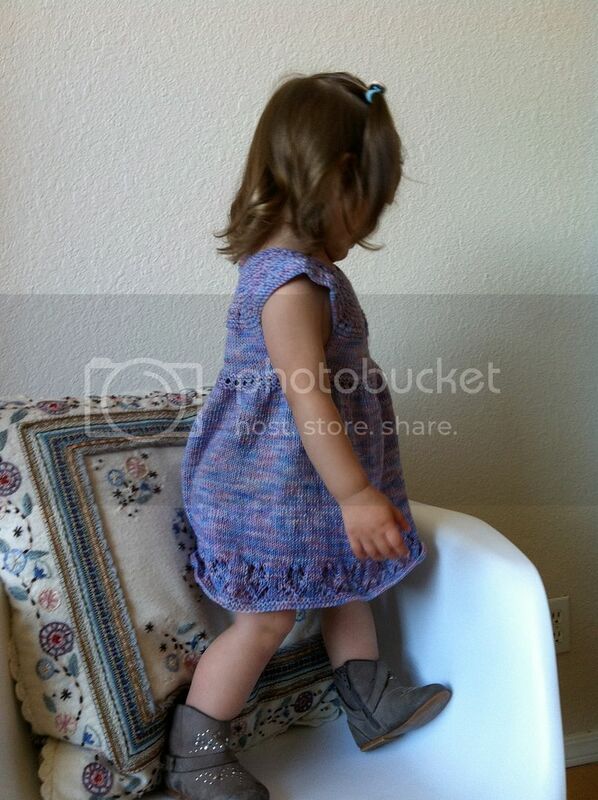 Lilac Twirl Dress for Olive – Complete! Oh you guys it had been MONTHS since I knit a stitch. After our trip to New Zealand and Australia in May/June, I got sidetracked with the new house, summer weddings, and life in general. I literally did not touch my needles and yarn for months and months. My project bag was sitting in the living room, taunting me, reminding me that if I waited much longer, Olive would outgrow the dress I was working on. So last week I made up my mind to finish up this dress so I could begin some Christmas knitting guilt-free. On Saturday night I finally completed this sweet retro-inspired twirl dress for Olive and I couldn’t be more in love with it! This Taiga Hilliard Designs pattern can be found HERE and if you have Ravelry, you can read my project notes HERE. The dress has the prettiest yoke and empire waist, but the full skirt with lace hem (see the little flower pattern?) really won me over. The neck has a keyhole opening that closes with a single button. I used a leftover from the fair isle sweater I made earlier in the year. I still need to block the dress but I couldn’t resist having Olive try it on (she actually wore it today) immediately. 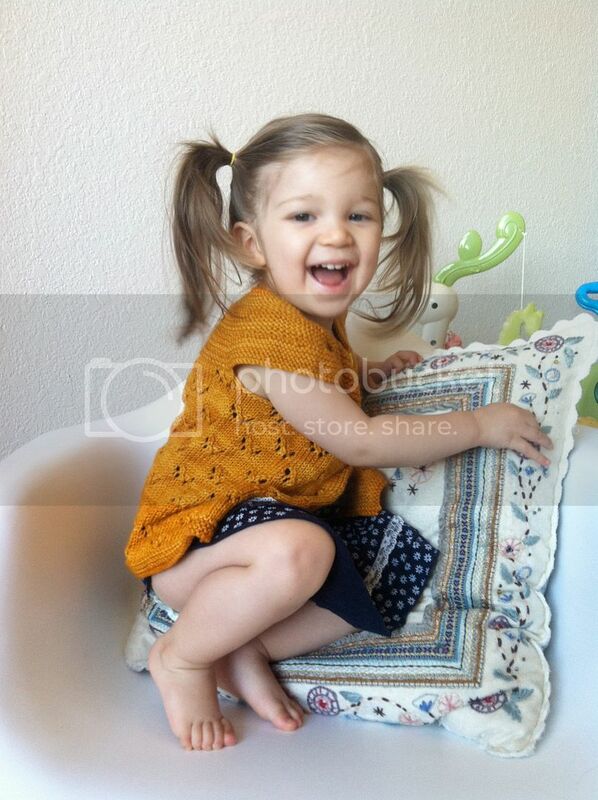 I knit up the 18 month size and it is perfect for her, considering she is on the smaller side. 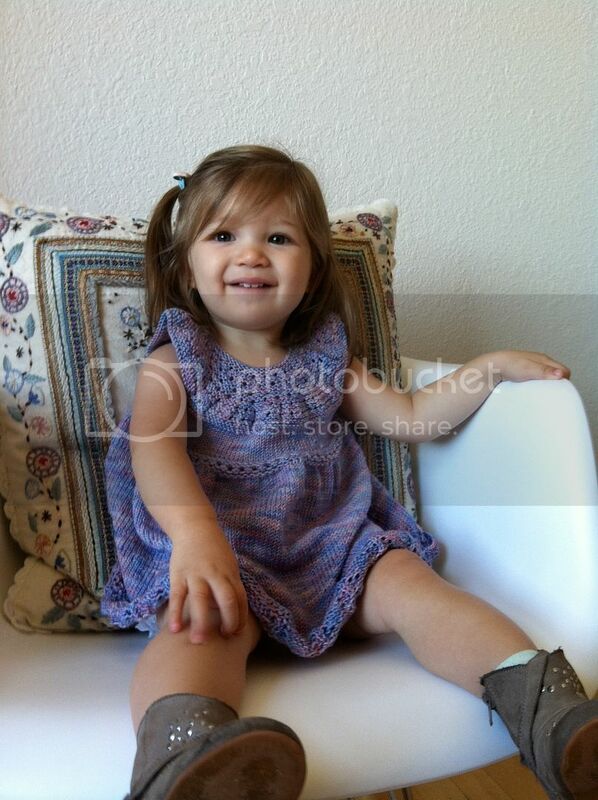 She will be able to wear it as a dress (with tights, etc.) through the winter and then I think it will be a perfect spring tunic with leggings! My only adjustment to the pattern was to shorten the length by about an inch. At the grocery store today, the cashier commented on the dress and asked if her grandmother had made it for her. When I told her I actually had knit it, she seemed shocked. 😉 I took it as a compliment. I love seeing Olive wearing something I made for her that started as just a ball of yarn. Every stitch of this dress has my care and intention in it and it was well worth the time it took to finally get it done! Call me crazy, call me sentimental, but I just love being able to make something (from start to finish) for my baby girl. It’s the domestic romantic in me. 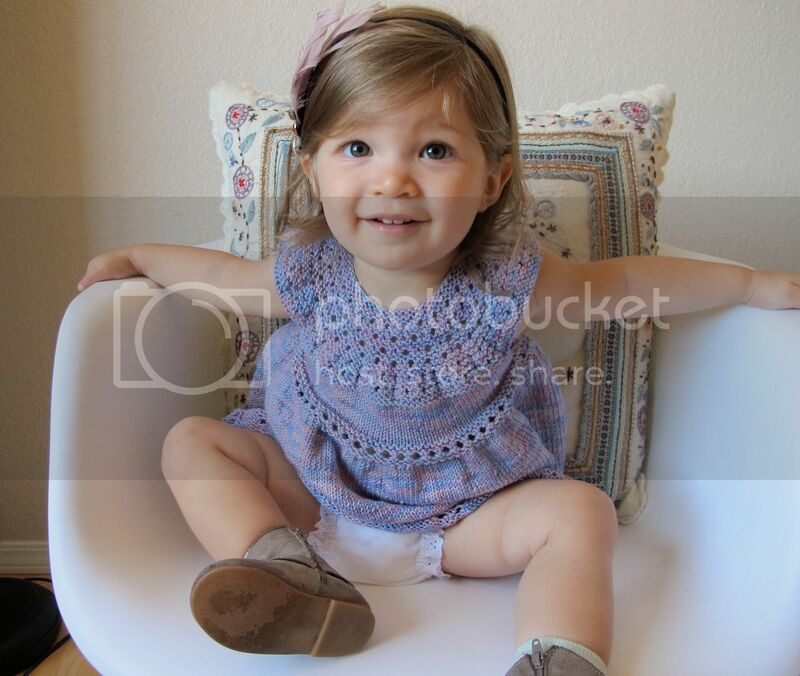 Her hair looks so much darker in these photos taken a few hours later. Lighting matters! I’m thrilled to be back in my knitting groove and I can’t wait to get started on some new projects. Up next: a pumpkin spice orange cardigan for Olive, a cabled cowl and a trio of Christmas stockings! Happy Wednesday, everyone!! I am taking a quick breather today (a very, very full day!) to share this little update. I have been so busy lately that I haven’t had much time to knit. I miss my sweet knitting friends (hi ladies!) and look forward to things settling down soon. In the meanwhile, I did get a few stolen moments over the weekend to work on my latest project for Olive: this lilac twirl dress. 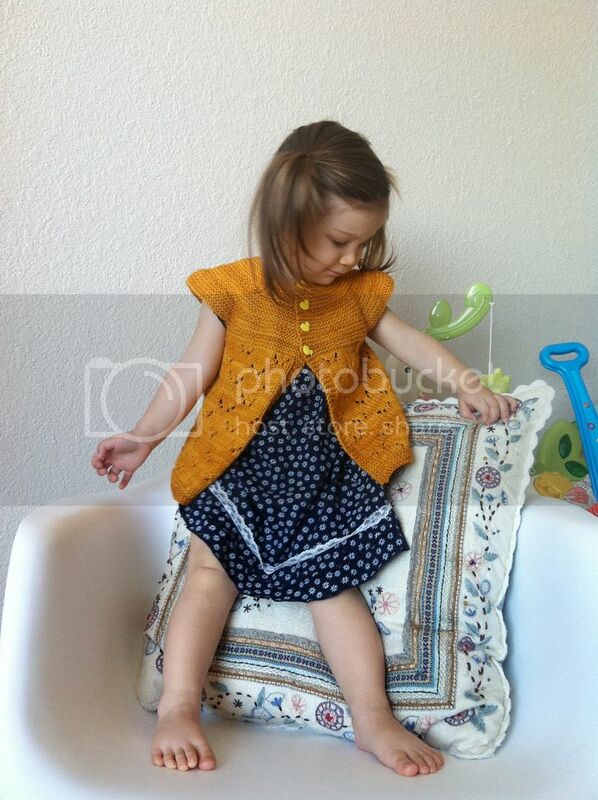 The pattern is called the Lilly Rose Dress and can be found on Ravelry HERE. I love the retro look of the round yoke, the lacework details and of course, the full skirt that is perfect for twirling! 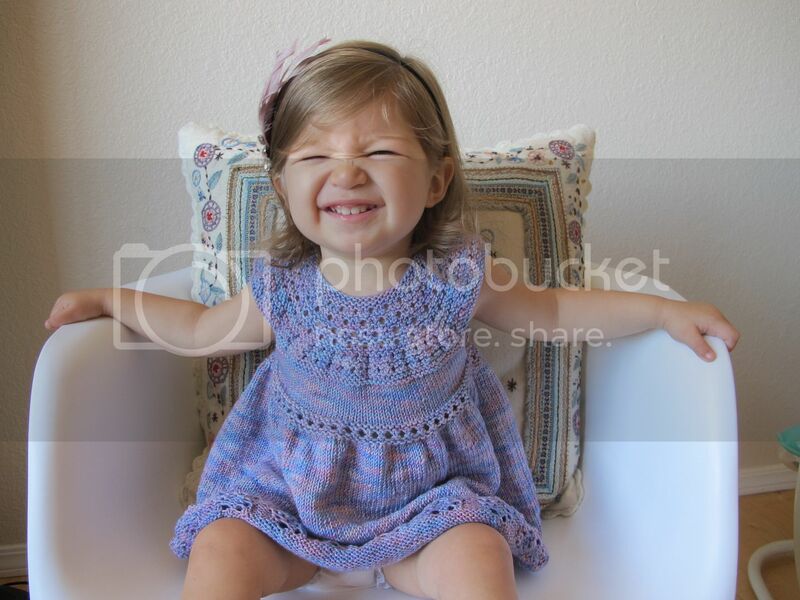 For this special dress, I decided to use the Ella Rae Lace Merino DK yarn. It has the beautiful variegated colors and luxurious merino fibers that you find in their lace-weight yarns, but in a perfectly squishy DK weight that is great for children’s items. Did I mention it is superwash (machine wash on cold — yay!)?? 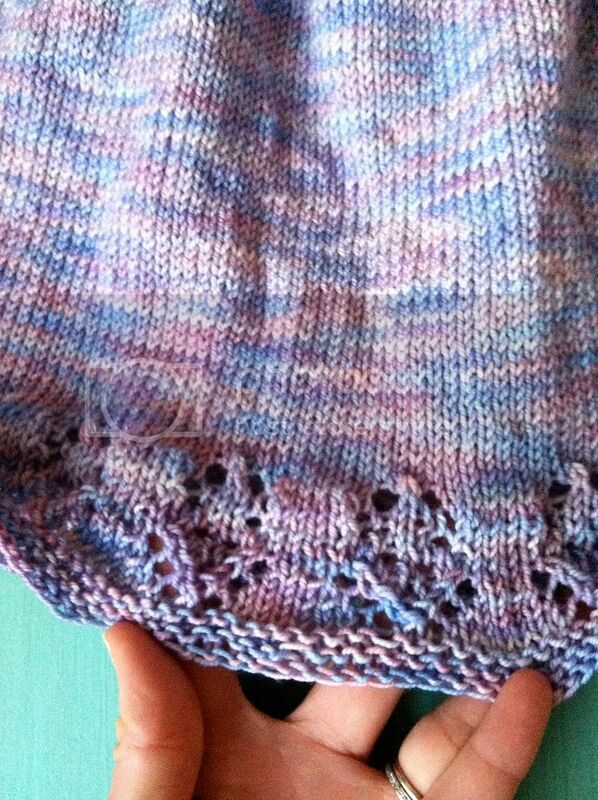 The colorway I selected (#102 – lavender) is in a soothing palette of lilac, lavender, soft mauve and watery blues. It’s working up quite beautifully and I am excited to see this dress come to life! Children’s knits always work up quickly but I have to say, rounds of 220 stitches for the skirt (just started in the photo above) are really making it feel like forever. 😉 I know I’m just being impatient because it’s turning out so darling, I can’t wait to see Olive in it! I hope to have this frock finished in the next couple of weeks and of course I will share photos of Olive modeling it then! Enjoy the rest of your day; chat soon! I didn’t grow up knitting or sewing or doing anything remotely domestic, to tell you the truth. I was consumed with my studies and my social life and I didn’t have anyone around me to teach me the domestic arts, if you will. I jokingly tell people that I was raised by a very independent single (at the time) mother and now I’ve made up for it by reverting to a total 50’s housewife. haha! All kidding aside, I did find myself married at 21, fresh out of Berkeley armed with two impressive degrees, yet completely unable to run a household, grocery shop, or cook a proper meal from scratch (sorry Erik, for all the raw-in-the-middle and burnt-to-a-crisp chickens I served you that first year of marriage!!). There was a part of me that really yearned to not only learn those skills, but master them. I desired to be an amazing chef, a skilled seamstress, and an efficient manager of the home. In pursuing them, I feel like I’ve really discovered a dormant part of my creative self. As I discovered little successes along the way, I found such a joy and fulfillment. Now there are few things I relish more than being in the kitchen in the late afternoons, chopping and stirring and creating delicious and healthy meals for my family. When I sewed all of Olive’s bedding before she was born, I felt like I had painted the Sistene Chapel. I couldn’t believe that I did it. I used my two hands to make something. It was worth it. So last fall, I casually told Erik that I wanted to learn to knit. I had seen some other friends around me begin to knit, and I wanted to acquire another craft that could be equal parts hobby and productive pursuit. Knitting is relaxing in and of itself, but I like that after putting in the time, you end up with a tangible product. My mind was spinning with the things I wanted to make! After mentioning my desire to a few church ladies, they encouraged me to call a local yarn shop about lessons. It turns out that the store has classes 6 days a week, on a drop-in basis. You come in and the teacher will show you what to do, and then assist you on whatever project you bring in that day. I still remember my first day in class, and how intimidated I was by the ladies sitting around the table, proficiently knitting and purling, with beautiful shawls and scarves growing from their needles. I remember how I worked so slowly, asking my sweet teacher to show me again and again and again. I remember taking this picture and posting it on Instagram, and being SO proud of my first few rows of knitting. Erik now admits that he had no idea how serious I was about wanting to learn to knit; it has become a passion of mine and I am so glad I took the leap to learn! New skills I hope to add to my repertoire soon include cables, intarsia, and felting. If you are a knitter (or crocheter), you can find me on Ravelry (login required). Otherwise, I look forward to sharing my projects here and on Instagram. Is there anything YOU want to learn to do (or learn to do better)?? Let me know in the comments… Let’s encourage each other to make it happen this year!